Valencia region on the eastern coast of Spain is made up of three provinces, Alicante, Castellon and Valencia. With over 500 km of Mediterranean coastline it is one of the mildest parts on the Spanish mainland. The city of Valencia city, Spain’s third largest, has plenty of history and culture as well as beaches to explore. The City of Arts and Sciences, an entertainment-based cultural and architectural complex is a great must visit for all ages. And as the birthplace of Paella this is the region to sample the best, but be selective, it has to be cooked to order. If there is no waiting time, while being prepared fresh, it isn’t worth having. Hotels in Valencia on Booking dot com. 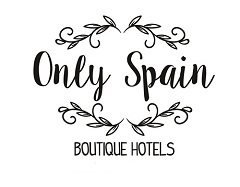 Have you visited a great boutique hotel in the Valencia region that you’d like to recommend? Or would you like us to check one out for you? Do you want some help planning your trip to Spain? We offer a trip planning and/or hotel booking service with as much or little help as you want. Visit our Trip Planning page to find out more about us and our service as trip planners. We want you to enjoy Spain as much as we love living here. If you would like to get in touch with us please follow this link.